Raspberry is my favorite flavor of sherbet. How about you? And this color combination is my new favorite for a turtle. A stuffed one, that is. 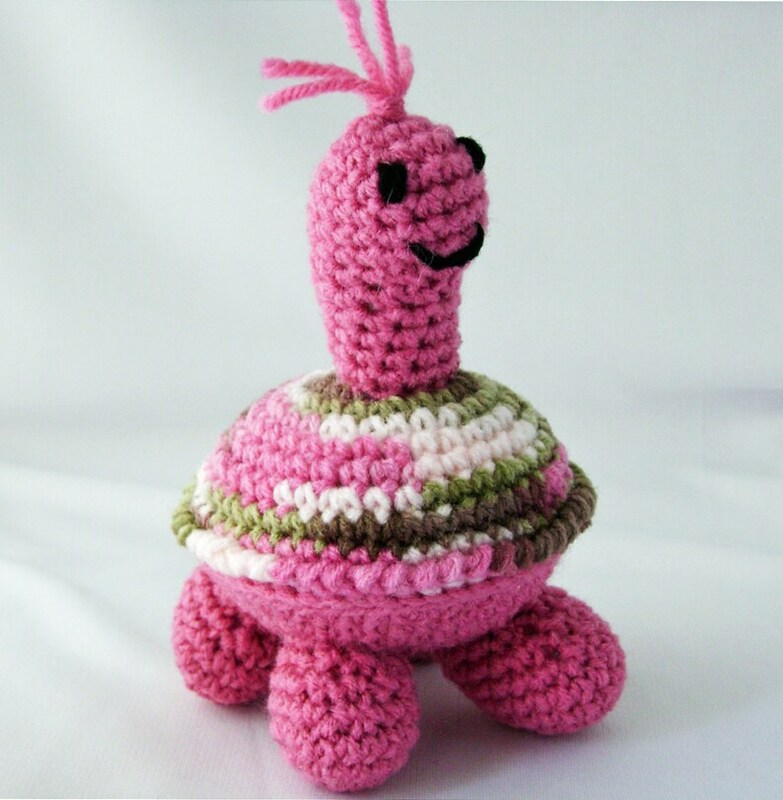 Raspberry is a crocheted, stuffed (amigurumi) turtle, She is made with acrylic yarn and polyester fiberfill. Her shell is made with a variegated yarn in shades of pink, white, mocha, olive and brown. Her body is a solid dark pink. Raspberry stands about 6.5 inches (16.5 cm) tall and is about 5 inches (12.7 cm) wide. Her eyes and sweet smile are embroidered with yarn, making her very child friendly. I created Raspberry in a smoke free, dog loving home, using a pattern designed by Sue of HappyWhosits.